Today’s take on the Community Function is via late 19th century France & The New Yorker. 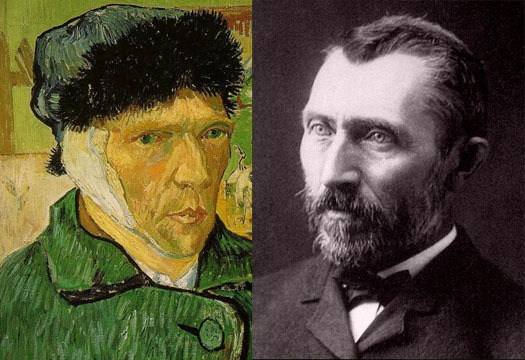 The title was “Van Gogh’s Ear: The Christmas Eve that changed modern art.” In fact, though, the piece is about the isolation & collaboration & community artists have saught, lost & found in our modern era. It begins on a pessimistic note, and I was reluctant to share it for that reason, but by the end, the message has turned around. Most of all, van Gogh was in pursuit of an old romantic dream: the dream of a collaborative community. Art could be saved from mere commodity if artists lived and worked together as they once had done. The Nazarenes, a secretive sect of painters in Rome in the early nineteenth century, seem to have been the first to revive the ideal, while John Ruskin’s Guild of St. George, a pseudo-Gothic band of pseudo-Goethic Masons, became, in the eighteen-sixties, the most unintentionally comic. The Impressionists, urban painters par excellence, saw themselves at moments as a band of brothers, but theirs was an infantile form of community. Renoir and Monet played and painted side by side like two-year-olds, rather than fully engaging in a club like twelve-year-olds. The idea that van Gogh, and others of his generation, pursued was deeper: a sort of religious revival that might be found in a renewed monastic arrangement. The vision of an ideal community runs through the letters. If we could all work together, we’d be like . . . Icelandic fishermen! Buddhist monks! Peasant craftsmen! Members of the French Foreign Legion! Not long after he arrived in Arles, he wrote to Gauguin, “I must tell you that even while working I never cease to think about this enertprise of setting up studio with yourself and me as permanent residents, but which we’d both wish to make into a shelter and a refuge for our pals at moments when they find themselves at an impasse in their struggle.” . . .
For van Gogh, the story ends conclusively: the Yellow House empty, the dream of community gone, the asylum’s doors the only ones open to him. He left the hospital in January and returned to the town, but his behavior was so strange that the peopel of Arles put together a petition to have him committed to an asylum or sent back to his family–breaking for good the vestiges of his dream of an organic rural community. Arles was as tight and closed and suspicious as any other small town. In his letters, the old fantasy, the fishermen and the monks, disappears . . . The only authentic community he found was among the insane. At least they supported one another. “Although there are a few people here who are seriously ill, the fear, the horror that I had of madness before has already been grately softened,” he wrote to Theo’s new wife, Jo. “and although one continually hears shouts and terrible howls as though of the animals in a menagerie, despite this the people here know each other very well, and help each other when they suffer crises.” Artist scould not be fishermen, or monks, or Legionnaires. They were artists. Collaborative creativity? We live and see and work alone. Collective responsibility? It ends in a crazy house. . . The letters of van Gogh’s last year mark his acceptance of his isolation, coupled with the belief that the isolation need not be absolute — that, one day, there will be a community of readers and viewers who will understand him, and that his mistake had been to try and materialize that community in the moment instead of accepting it as the possible gift of another world and time. “One must sieze the reality of one’s fate and that’s that.” The real community is not that of charmed aritsts living like monks but the distant dependencies of isolated artists and equally isolated viewers, who together make the one kind of community that modernity allows. I am somewhat loathe to quote the author of this piece, Adam Gopnik, at length. I have no great disdain for him, but I feel some harmonic resonance with Vanity Fair columnist James Wolcott‘s infamous takedown of Gopnik in The New Republic. (i.e. “It isn’t that Gopnik is ungifted or imperceptive, or a slickster trickster like his colleague Malcolm Gladwell, who markets marketing. He is avidly talented and spongily absorbent, an earnest little eager beaver whose twitchy aura of neediness makes him hard to dislike until the preciosity simply becomes too much.”) Read the whole thing here. That said, this piece of writing was as sharp as Wolcott’s critique was barbed.